Holidays are definitely way more fun with some self-made DIY swag. 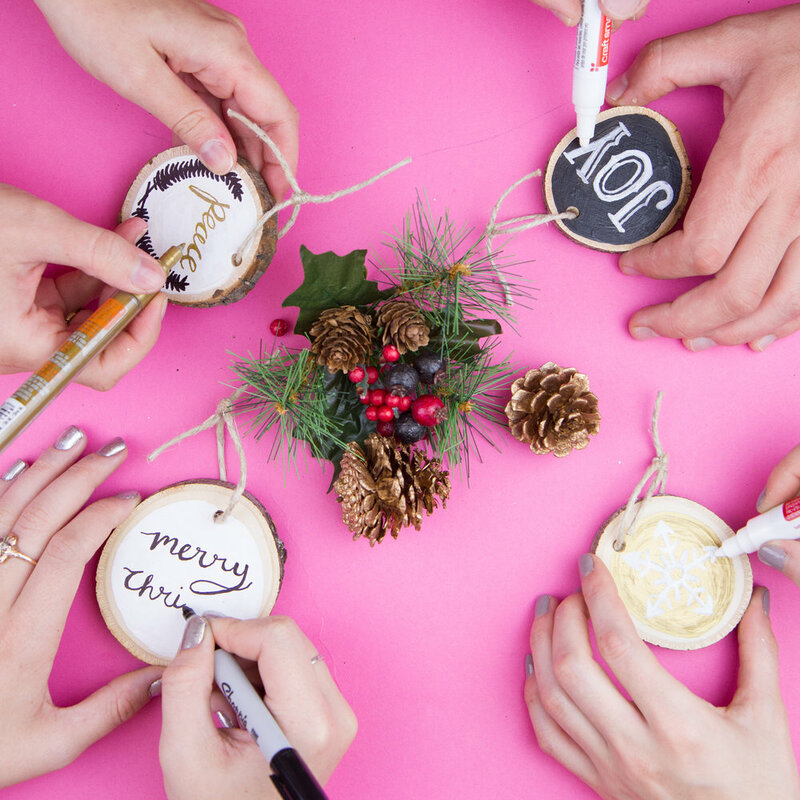 Get ready for the season and come to our Holiday spirited CraftJam, to make custom wooden ornaments to decorate you home. Natural wood is a beautiful canvas for your designs, and we will teach easy techniques to decorate these lovely little hangings. Designs range from classic holiday sayings, to snowflakes, to remembering those special moments like weddings and newborn babies! Wooden ornaments can be used as decoration for any holiday celebration: they can be hung on a tree, on the wall, or from the ceiling. Fastening your ornaments so you can hang them. We have all the tools you need, including a set of 4 wooden ornaments, an assortment of string/twine, paint pens and paints. BYOB and BYB (Bring Your Buddies)! Crafting is paired best with good company and your favorite drink of choice.